Engineering experts of the future went head-to-head yesterday as they put hand-made robots through a series of perilous underwater tasks. Students in Aberdeen went head-to-head yesterday as they put an array of human-powered go-karts to the test. Aberdeen students are researching robotic methods of building houses, which they believe could save people time and money when buying new homes. A group of students have created models of how the Deeside Railway line could be adapted for the modern day. An Aberdeen university will open up almost 200 new graduate apprenticeship places as part of efforts to improve work-based learning in the north-east. Women attending university in Aberdeen have been made the target of a secret Snapchat group, calling themselves "the Brohood", which asks members to share indecent pictures of female students. A new deli created by celebrity chef Jamie Oliver opened in Aberdeen yesterday in a UK-first. Universities in the north of Scotland are spending thousands of pounds every month on items including takeaway pizza, coffee and bouquets of flowers. In cyberspace, everybody can hear you scream. The end of production on a North Sea platform has been marked with a photo campaign after 30 years of operations. Thousands of students have been caught cheating or plagiarising in the past five years. 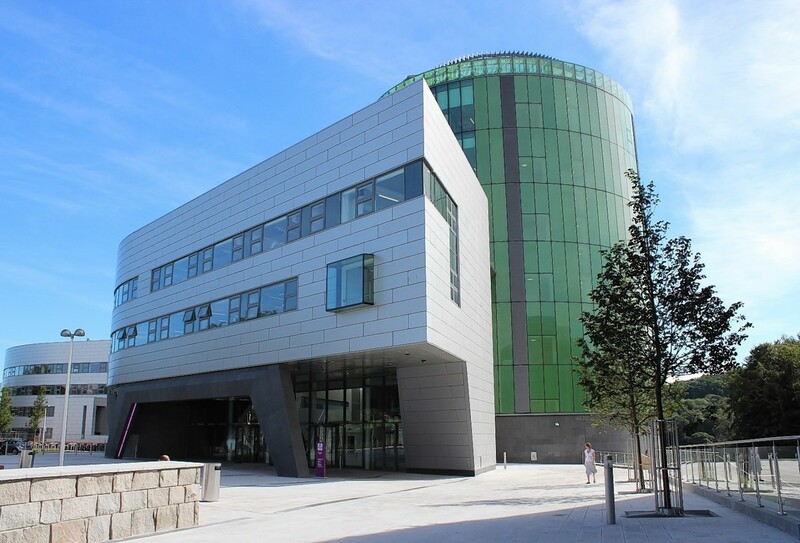 More than 40 students from Robert Gordon University’s (RGU) school of health sciences will put their training into practice in the New Year. The fashion & textile design course at Gray’s School of Art has been officially awarded British Fashion Council membership. A student who claimed he was drug dealing to pay his university fees was yesterday jailed for four years and 145 days. From a young age, Harriet Dixon knew she wanted to be a nurse, and the hard-working student has now taken a huge step towards securing it as her dream career. Just 24 hours after graduating, Danielle Robertson is already putting her new degree to good use. With two RGU qualifications already under her belt, one Aberdeen student is already hard at work striving towards a third. A mum from Moray who returned to education after her life was uprooted by the downturn in the oil and gas industry was one of the hundreds of happy graduates at yesterday’s ceremony in the Beach Ballroom. Hundreds of schoolchildren descended on Aberdeen’s Tivoli Theatre yesterday to unveil their designs for the perfect shop on the city’s iconic Granite Mile. More young people will gain access to higher education thanks to a donation made by graduates of Robert Gordon's University. Crafters, confectioners and collectors will come together as part of a series of markets being held at the St Nicholas Mall.